According to Douglas, the challenge of what to do with this fertile abundance – how to nourish it, protect it, but also contain it and keep it from “taking over” – is part of what it means to establish a covenant with God. Fertility is something that is addressed by the covenant but is also separate from it. The boundless and expansive spirit of procreation that is represented by the swarming creatures is precious to God and to humanity/the Jewish people, but the covenant is necessary to order and restrict this overflow. There is an obvious connection between this tension and the story of the deluge in Parshat Noach. 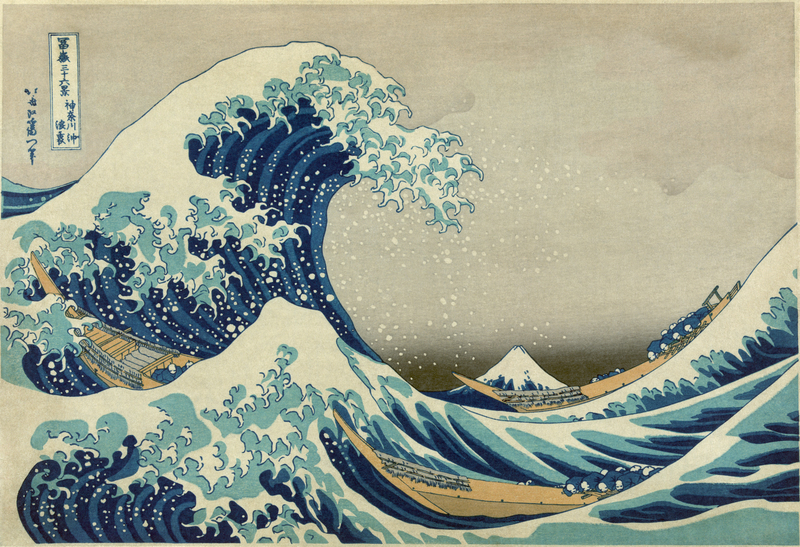 In this story, water – typically associated with blessing – takes over the world. When God eventually restricts these waters humanity is presented with a covenant, a concrete sign that God has contained this overflow in order to leave room for humans and animals to live. Surrounding this story are numerous references to fertility and procreation. Preceding Parshat Noach we find the curious episode of the Nephilim, which begins: “when men began to increase on earth and daughters were born to them (Gen. 6:1). Parshat Noach itself begins with Noach’s own procreation, the birth of his sons Shem, Ham and Yaphet, and immediately after the flood God blesses/commands Noah and his sons with fertility and abundance: “Be fertile and increase, and fill the earth” (9:1). The midrash and certain Jewish commentators are also sensitive to this motif of procreation, as well as potential complications emerging from it, and at various intervals associate the story with sinful, uninhibited sexual conduct. I’m not entirely sure what to make of the tension between the linked ideas of the flood’s destructive overflowing waters and the positive valence of fertility and abundance. Douglas is content to leave their connection in the amorphous realm of mytho-poetic symbolism, but upon closer examination all sorts of contradictions emerge. make the wind blow and the rain fall. For blessing, and not for curse. For life, and not for death. For plenty, and not for scarcity. That is, the prayer recognizes that invoking the waters of the deluge in a petitionary context is complicated. While we want this abundance to shower down upon us, we also entreat God to exercise some restraint. I had hoped to invoke a lofty work of western literature at this point in my blog post. However, the only book that comes to mind is Strega Nona by Tomie dePaola, which I remember from my own childhood and I now enjoy reading to my own children. 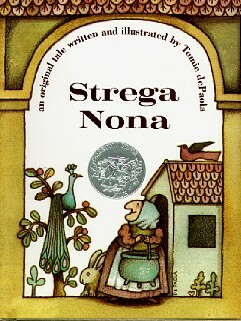 Strega Nona is a beautifully illustrated story about an elderly Italian witch who has a magical pasta pot that can produce unlimited pasta upon the recitation of a special poem. Her hired helper, Big Anthony, overhears hear her reciting this poem and tries to invoke the magic of the pasta pot for himself one day when she leaves town. Unfortunately, although he is able to make the pot produce pasta, he does not remember Strega Nona’s special trick of blowing three kisses in order to stop the pasta from flowing from the pot. Soon the house and the entire town is overrun by pasta until Strega Nona returns to make it stop. If the story sounds familiar, but from a different source, that is because dePaola based it on a German fairy-tale called “The Porridge Pot” that was recorded by the Brothers Grimm. In fact, the story’s origins may be even more ancient, as apparently variations of it are found in Norse legend and Chinese folklore as well. One interpretation of this myth that I encountered is that it emerges from times of deprivation and scarcity. A hungry person fantasizes about the unlimited bounty represented by the porridge pot. Yet Strega Nona is clearly a cautionary tale as well, and the great climax of the story is when Strega Nona uses her powers to contain the pasta profusion and restore order to the town. The fact that versions of this story exist in so many cultures and permutations indicates that it speaks to a deep truth about the complicated, mixed blessings of abundance as well as the value of restraint. Recognizing this tension may help us appreciate the nature of both the flood and the covenant in Parshat Noach as well.